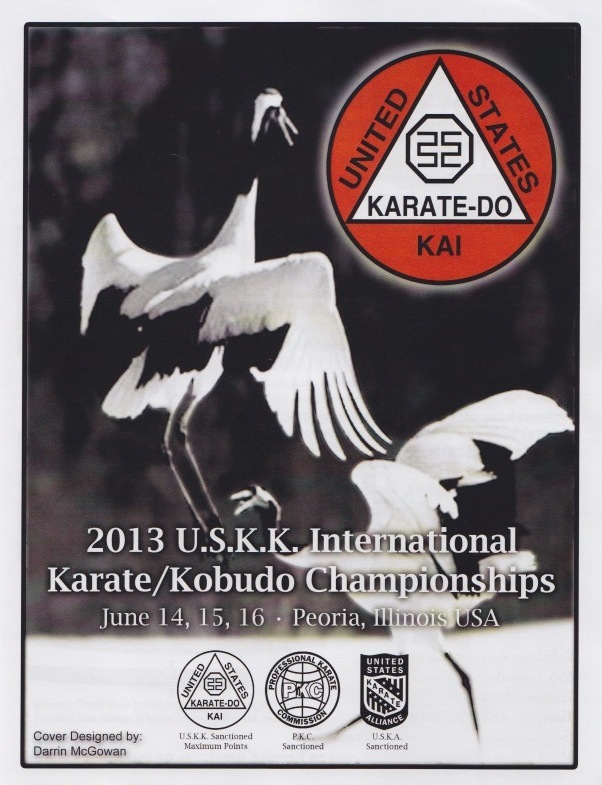 The 2013 USKK INTERNATIONAL KARATE KOBUDO CHAMPIONSHIPS was held in Peoria, Illinois from June 14th to 16th. 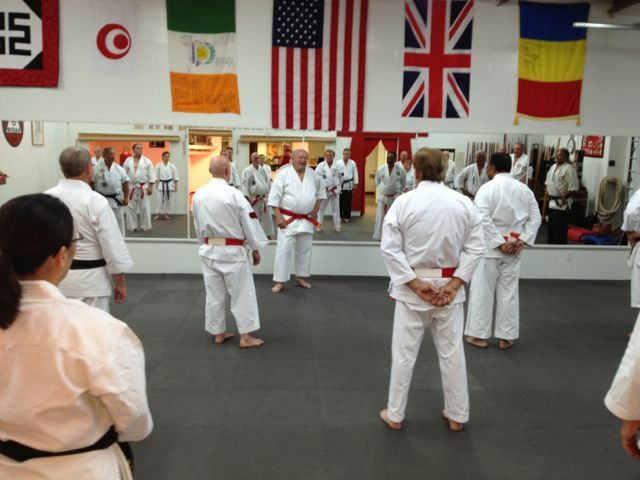 The United States Karate-Do Kai (USKK) was founded in 1984 by Phillip Koeppel, Sensei. This years event was the 29th Annual USKK event. One of the hallmarks of the event is their hosting of a Feature Seminar on Friday . 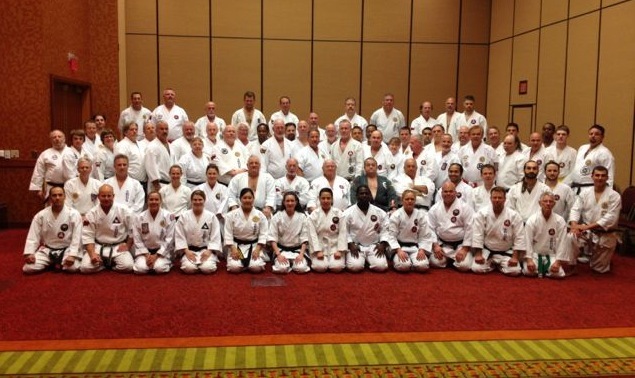 This year Hanshi C. Bruce Heilman and Kyoshi Ann-marie Heilman were invited to teach the feature seminar. 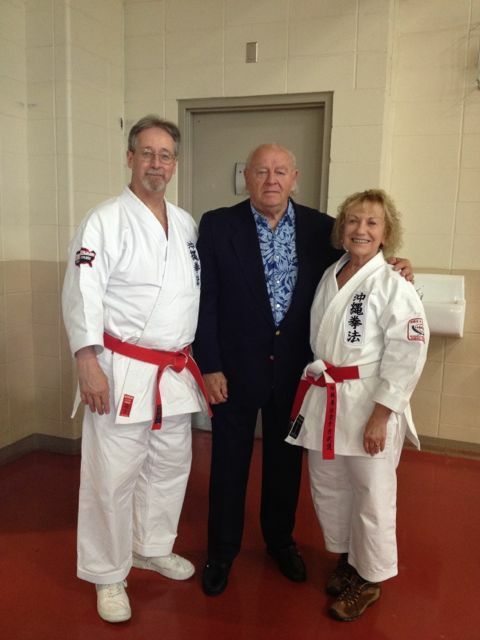 The Heilman's taught a three hour session on Odo Lineage Kobudo as taught through the IKKF Program. They focused on an overview of the unique signatures of Odo Linege Kobudo, and instruction and bunkai applications for Shima Igiri Nokun and Odo No Tekkos Ichi. The overall event also included various Style Head Seminars on Saturday as well as the USKK Annual Banquet. On Sunday their International Tournament was held. A couple photos of the USKK are presented below. Flyer Artwork for USKK Event. 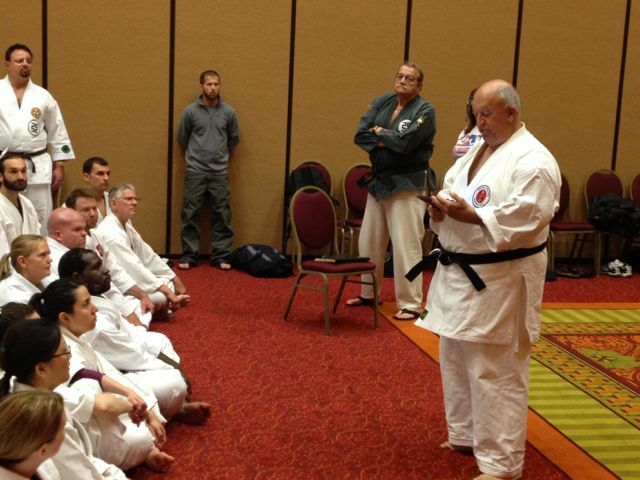 Hanshi Koeppel leading Yudansha class at the USKK Honbu in Peoria, IL the evening before the event. 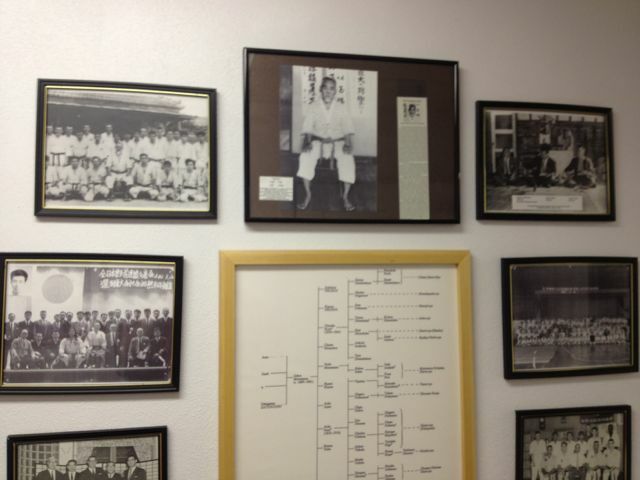 Poster on wall of USKK Honbu honoring Shigeru Nakamura and the Okinawa Kenpo lineage. 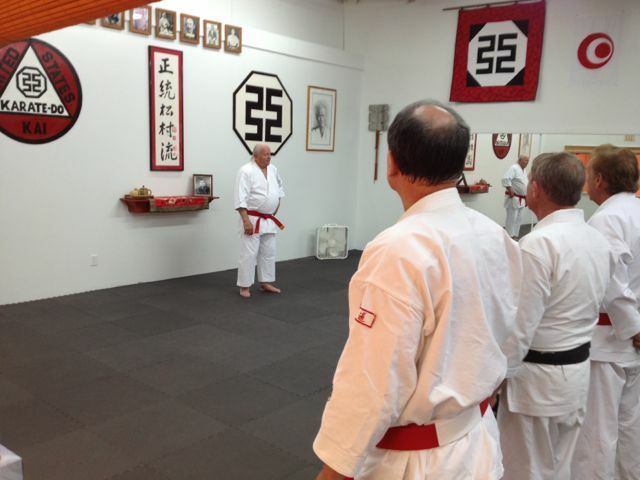 Hanshi Koeppel addressing Yudansha class at end of training at USKK Honbu. 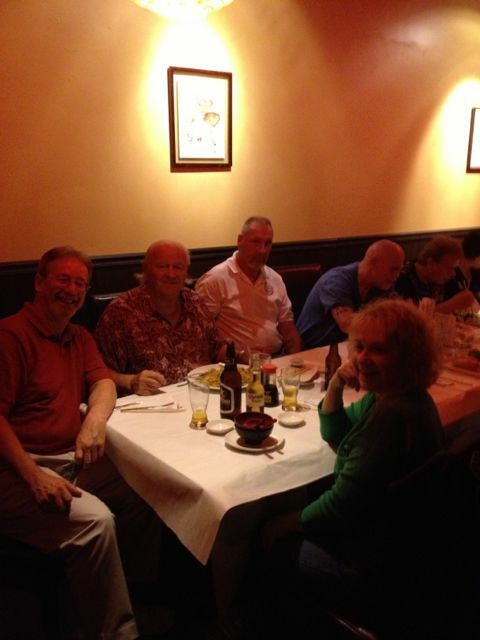 The Heilman's with Hanshi Koeppel and students at Japanese restaurant thursday evening after Yudansha Class. 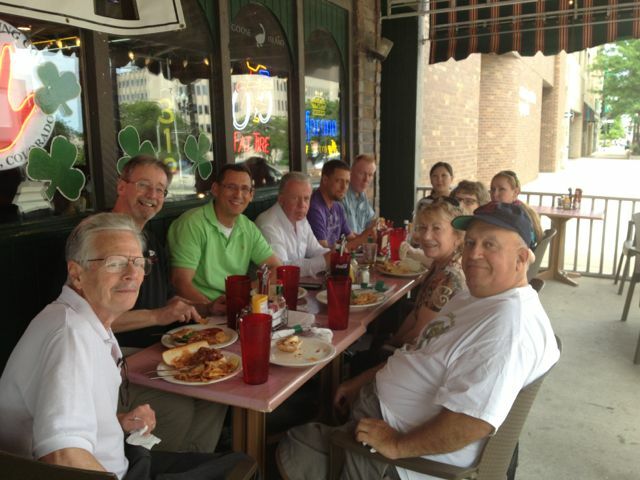 Gathering for lunch on Friday at outdoor cafe in downtown Peoria. 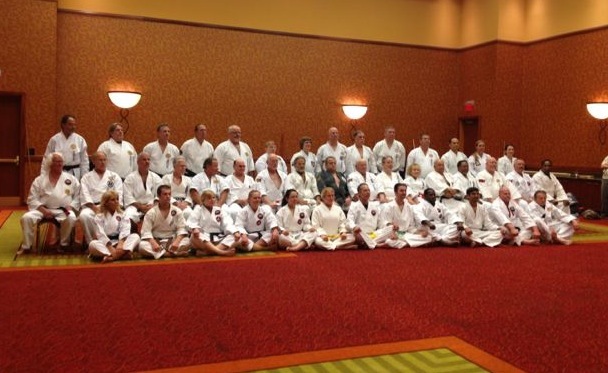 Group photo of participants at Heilman Kobudo Seminar. 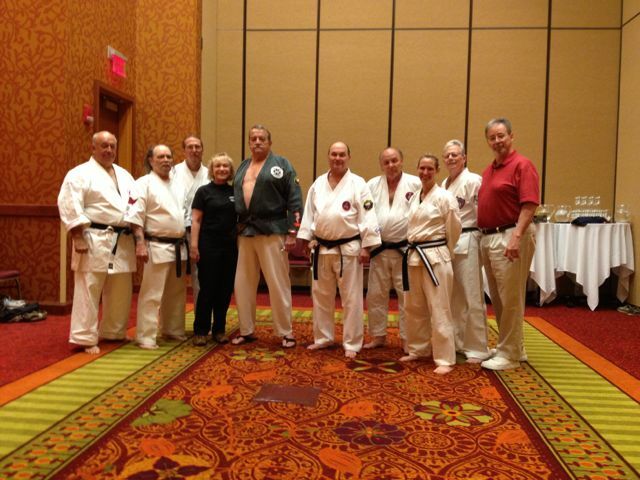 Gathering of participants at Matsubayashi Shorin-ryu Style Head Seminar with Heilman's as guests. Group photo of participants at the Seminars for the USKK event. Kyoshi Terry Maccarrone reading a memorial for the late Parker Shelton, Jr. who passed away last year on September 28, 2012. 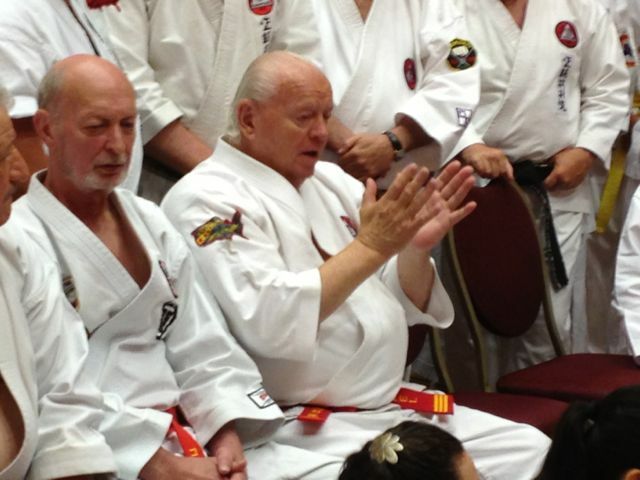 Photo of Hanshi Glenn Keeney and Hanshi Phillip Koeppel at memorial for Mr. Shelton. Photo of the Awad Brothers (Rick, Tom and Mike) with Mr. Heilman. 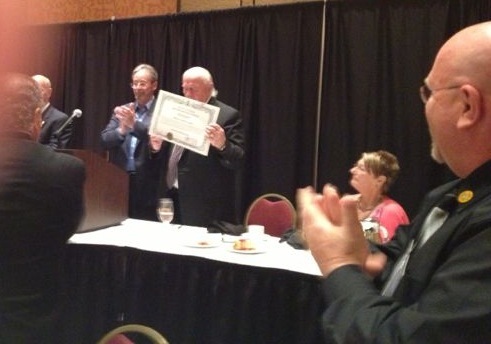 Hanshi Heilman presenting IKKF Lifetime Achievement Award to Hanshi Koeppel at the USKK Annual Banquet. 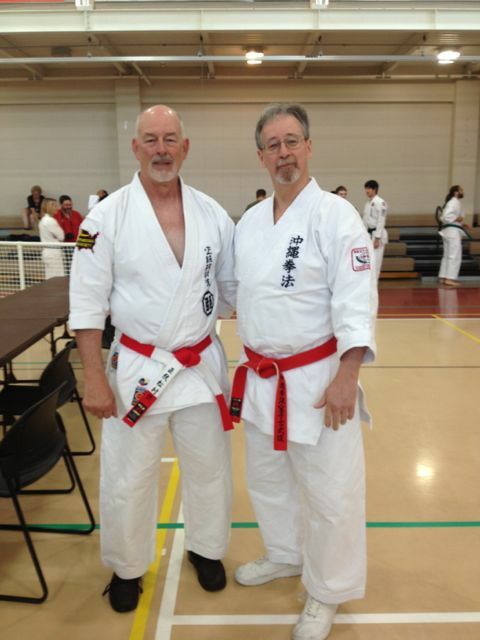 Kyoshi John Hutchcroft and Hanshi Heilman at USKA tournament. 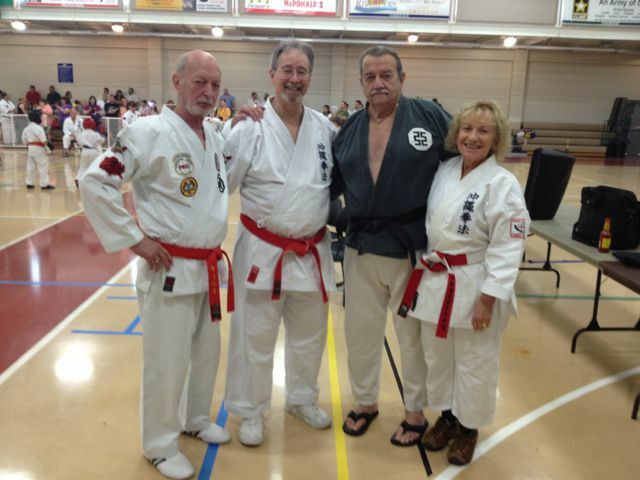 Photo of Hanshi's Keeney, Heilman and Yarnell with Kyoshi Heilman at USKK Tournament. 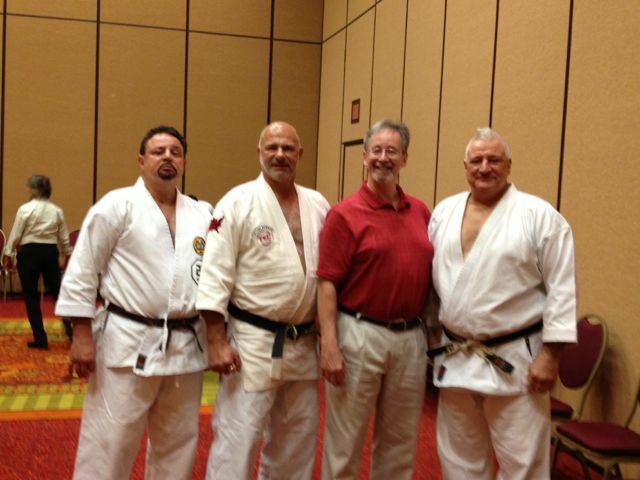 Photo of the Heilman's with Hanshi Koeppel. It was a great honor for the Heilman's to be the feature seminar instructors for the 2013 USKK Gathering. The Heilman's old friend Kyoshi Terry Maccarrone getting excited at Joe's Crab Bar for lunch with Mrs. Sue Hawkes and the Heilman's. Group photo of Yudansha at USKK Tournament. 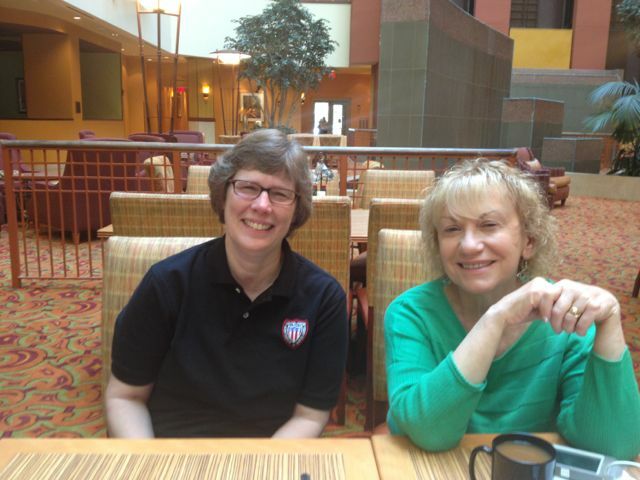 Photo of Mrs. Sue Hawkes and Mrs. Heilman having a coffee break at hotel during USKK event.